The London Marathon broke this site. Twice. The last few days have seen record traffic on findarace.com. As thousands ran through the streets of London in the marathon on Sunday, tens of thousands more were inspired and took to the site to find an event of their own to enter. The chart below shows traffic on findarace.com throughout the day of the London Marathon. Traffic started to rise even before the BBC's race coverage began at 9.00am. In fact, it rose so much that by 10.00am our server started to fail. Hence the dip from 10.00am to 2.00pm when the site came back online, before crashing again at 4.00pm. This shows two things. Firstly, we need a better server. More importantly, it shows the hugely inspirational impact that thousands of runners can have on the watching public. The next day, last Monday, traffic continued to be significantly higher than the previous week. In fact, traffic was up 80% on the previous Monday. 80%! The challenge of running a marathon has clearly not lost any of its appeal. 26.2 miles is still a magical distance. Short enough to be achievable, after a lot of hard training, but definitely long enough and tough enough to make it one of life's most memorable experiences. 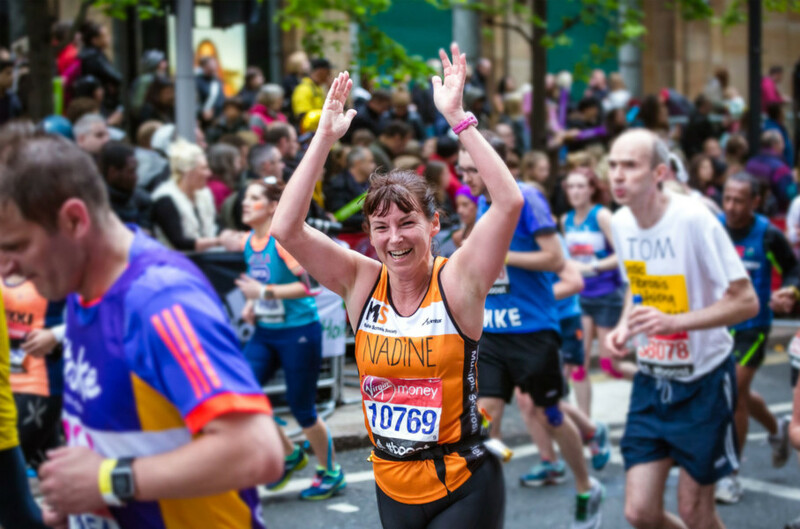 Where else but the London Marathon will you be cheered along by a crowd of thousands, all calling your name. For 26.2 miles you're a rock star. When you're training for a marathon you're often asked why you're doing it. There's a new season of Billions to watch, and that bottle of Merlot isn't going to drink itself. 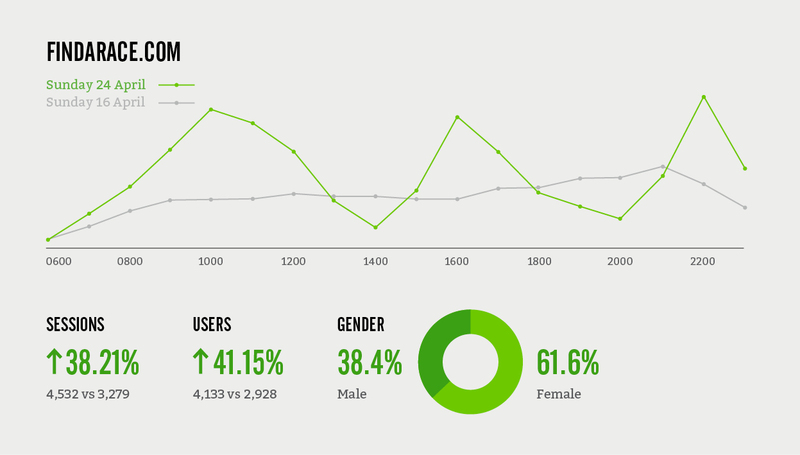 But when race day comes it's all worth it and, judging by our analytics, the questions is no longer 'why?' but 'why not?'. 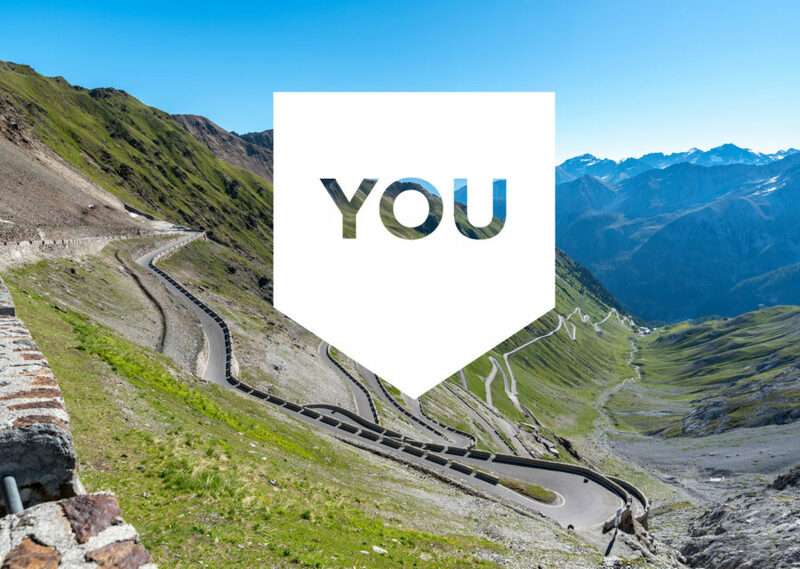 Win a guided tour to one of the best climbs in Europe for you and three friends thanks to Sportive Breaks.